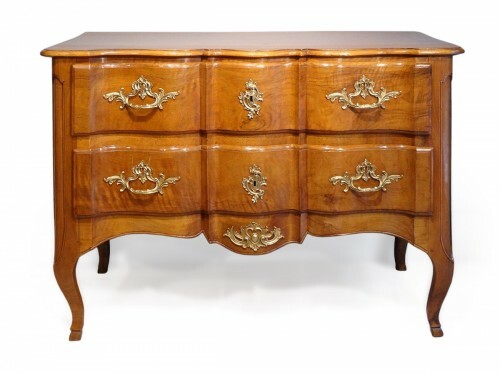 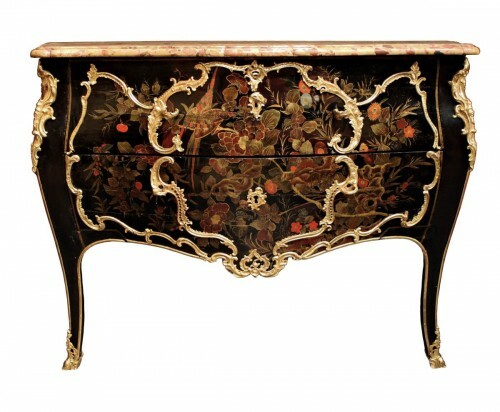 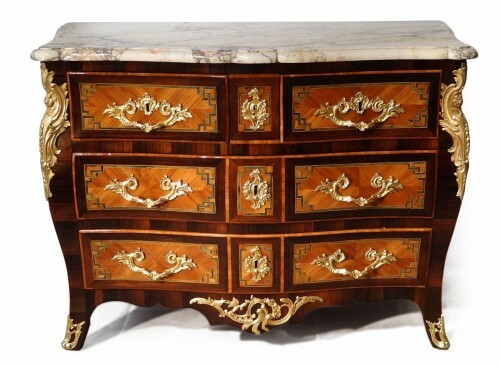 Commode from the region of Aix-en-Provence, 18th century, in wild cherry wood. 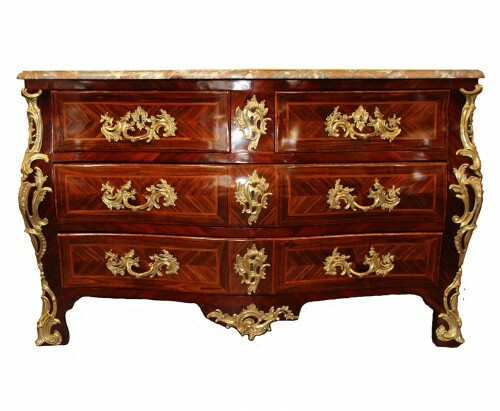 It opens with four drawers, two in the first row, and two big ones underneath. 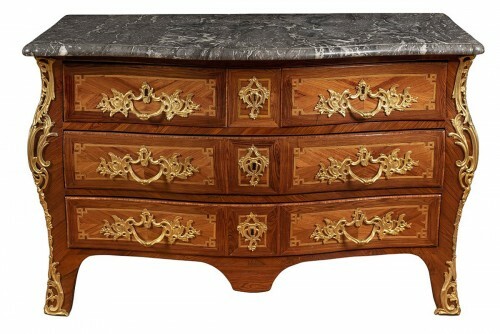 Magnificent original bronze mountings, headed by a grey marble from Belgium.